I just came across a very annoying bug and I have no idea what to do now. Some of my Blueprints have an empty viewport after reopening them. As you can see in the screenshot, there are components in the blueprint and i have already worked with them and moved them around in the viewport, but after reopening the blueprint, the viewport is empty. I already tried moving and adding components but nothing happens. It's like there is nothing in the blueprint. Only a few of my Blueprints are affected. I recreated this blueprint 3 times already, and it keeps happening. I feel like it has to do with the RotatingMovement Component, since only blueprints that have this or the "Interpolate To" component are affected by this bug. It's really annoying, i don't want to recreate the blueprint again. Is really the RotatingMovement component the problem or can this be caused by something else ? I was unable to reproduce your issue on our end. I have a couple of questions that will help me narrow down the issue you are experiencing. If so could you provide a detailed list of steps so I can reproduce your issue on our end? Could you provide a screenshot of your event graph for a blueprint with your issue? I tried to reproduce the issue in a new project and came across a solution. 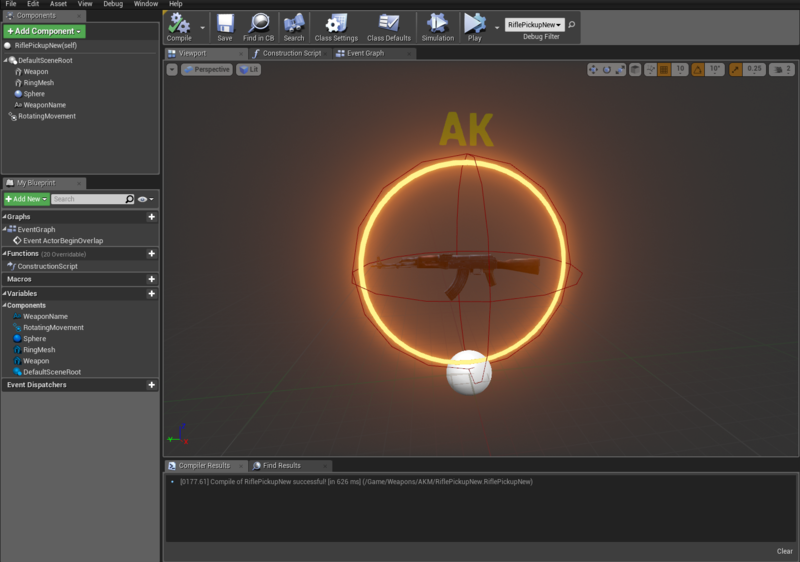 Whenever I have the destroy actor node in the front, the viewport will become empty after pressing simulate. The only thing that brings back my components inside the viewport is, if I remove the destroy actor node and put it at the end of my blueprint, then recompile. This is weird, since this is the first time I'm having this problem, but not the first time I used the destroy actor node in front of my blueprint. After changing this in my original project, everything is working fine! Thank you for the fast answer!! Can't manage lifetime of objects created with the "construct object from class blueprint node"